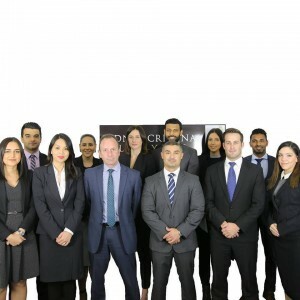 Posted November 19, 2018 by Sydney Criminal Lawyers & filed under Criminal Law, Drug Law. In the early afternoon of 12 May 2014, a number of Kings Cross police officers noticed a car being driven erratically. The officers stopped the vehicle and spoke to the driver, Ramy El-Sayed, whose demeanour raised their suspicion. The officers told the driver they were going to search him for drugs. Mr El-Sayed stated “I don’t use anymore” yet consented to the search. While conducting the search, police located $1,920 in cash, bank cards under other people’s names, a laptop computer, and a plastic bottle containing clear liquid with crystals in it. The contents of the bottle were subsequently found to be 1,171.7 grams of 1,4 Butanediol. Commonly known as Bute, 1,4 Butanediol is an prohibited drug that’s often sold as a liquid in small fish-shaped soy sauce containers, as an alternative to the more common street drug GHB. The officers continued their search and located plastic bags containing 31.16 grams of methamphetamine, as well as several mobile phones, one of which was receiving text messages that police suspected related to drug transactions. Officers later executed a warrant at Mr El-Sayed’s Mount Pritchard home, where bottles containing a further 1,981.1 grams of 1,4 Butanediol were located, along with a set of small silver scales and four additional mobile phones. Mr El-Sayed pleaded guilty to two counts of supplying a commercial quantity of a prohibited drug, contrary to section 25(2) of the Drug Misuse and Trafficking Act (‘the Act’). Schedule 1 of the Act provides that a commercial quantity of 1,4 Butanediol is between 1 and 4 kilograms. The maximum penalty for the offence of the commercial supply of a prohibited drug is 20 years imprisonment and/or a fine of $385,000. The offence also carries a standard non-parole period (SNPP) of 10 years. An SNPP is a reference point for the sentencing judge when determining the minimum time a person must spend behind bars before being eligible to apply for release on parole. The Act’s ‘deemed supply’ provisions were relied upon to support the charge. In that regard, section 29 of the Act stipulates that a person found with more than a traffickable quantity of an illicit drug in their possession can be charged with drug supply, even if there’s no evidence they were providing it to others. Five other charges were taken into account on sentencing, which included one count of dealing with the proceeds of crime, three counts of possession of unlawfully obtained goods and one count of supplying methamphetamine. On 17 June 2016, Mr El-Sayed appeared in the NSW District Court for sentencing. The court heard that he had two prior drug supply convictions, the first of which came before the court for sentencing in 2003. He also had a long history of problematic drug use and gambling. The late NSW District Court Judge Robert Toner assessed the 1,4 Butanediol drug supply offences as being in the middle range of objective seriousness. He found that El-Sayed’s criminal record played a factor in sentencing, but there were no aggravating factors. For the first count involving the 1.171 kilograms of the drug, his Honour sentenced El-Sayed to 8 years behind bars, with a non-parole period of 4 years. For the second count of 1.981 kilograms – as well as the five extra offences – the sentence was 10 years, with a non-parole period of 5 years. The sentences were to be served concurrently, in other words to run at the same time. And due to Mr El-Sayed’s “relatively good prospects for rehabilitation”, the judge found special circumstances, which justified the non-parole period being reduced to 50 percent of the head sentence. A 25 percent discount was also applied to the overall sentences due to the utilitarian value of Mr El-Sayed’s early guilty pleas.  Mr El-Sayed appealed his sentence to the NSW Court of Criminal Appeal (NSWCCA) on two grounds. The first was that the sentencing judge made several errors in his assessment of the objective seriousness of the offences. These included referring to the drug as an amphetamine several times, when it is not, and referring to all the offences as if they were one offence. El-Sayed’s criminal defence lawyers also challenged the sentencing judge’s assessment of all the offences as being in the middle range of objective seriousness. NSWCCA Justice Robert Hulme ruled against this ground, ruling it had no merit. His Honour also found it inappropriate to interfere with the sentencing judge’s assessment of the offence as in the middle range objective seriousness. Although his Honour did not agree with the assessment, he concluded it was open for the judge to make. The second ground of appeal was that the sentence was manifestly excessive. Justice Hulme explained that in order to persuade the court of this “it must be shown that the sentence is one that was simply not open to the judge to impose”. His Honour then pointed out that the maximum sentence for the supply of a commercial quantity of a drug is 20 years behind bars. And prior to the 25 percent discount being applied, the head sentence for count one would have been 10 years and 8 months and for count two 13 years and 4 months. Justice Hulme made clear that with the offences being assessed as mid-range, these starting points were “erroneously excessive”. His Honour said the reason for the error may have been Judge Toner’s reluctance to “set out the arithmetic”, but if this had been done, then he may have realised that his starting points were “were completely out of keeping with his findings”. And Justice Hulme ruled this ground was made out. On resentencing, Justice Hulme said he would revise the initial middle range assessment of the offences. This was necessary due to the lack of knowledge around 1,4 Butanediol. His Honour said that quantity alone is not a reliable indicator of seriousness, especially when it’s set by parliament. “With other more commonly encountered drugs there is a broad knowledge about how much a user might consume and what it would cost, but there was no evidence at all about such matters in this case,” Justice Hulme said. He therefore ruled that the offences were below mid-range. After applying the 25 percent guilty plea discount, Justice Hulme said the new sentence for count one was 5 years and 3 months, with a non-parole period of 3 years and 2 months. And for count two, the new sentence was 6 years and 9 months, with a non-parole period of 4 years. On 9 November this year, the NSWCCA ordered that Mr El-Sayed’s appeal against his sentence be allowed. It quashed the District Court sentence from 17 June 2016 and it imposed a new aggregate sentence of 7 years and 6 months, with a non-parole of 4 years and 6 months. NSWCCA Justices John Basten and Peter Hamill agreed with these orders.